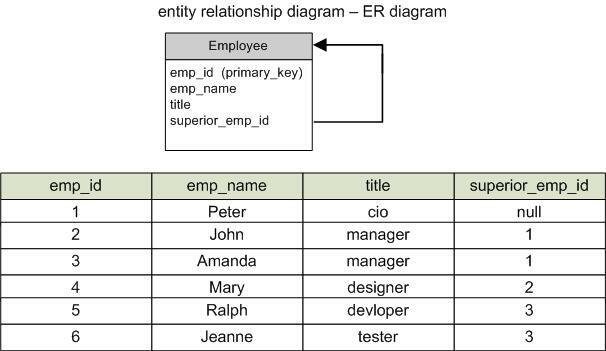 I am using employee table and am storing super employee id (i.e, primary key of employee table). How to get super employee name. how to achieve it using hibernet. My table structure is as follows. Please post your HQL which you have tried yet. For your table Employee, find a solution that may not be optimized.